This week, leading up to #giveRARE Day on March 3, we are featuring stories of folks living with a rare disease. Today's video is from Peter Dankleson, our first "Real Life Auggie." Come back all weekend for inspiring stories of people who individually may be rare, but are creating a strong community together. Watch Peter's fun video below and be sure to read some of his mom's, Dede, posts linked after the video. 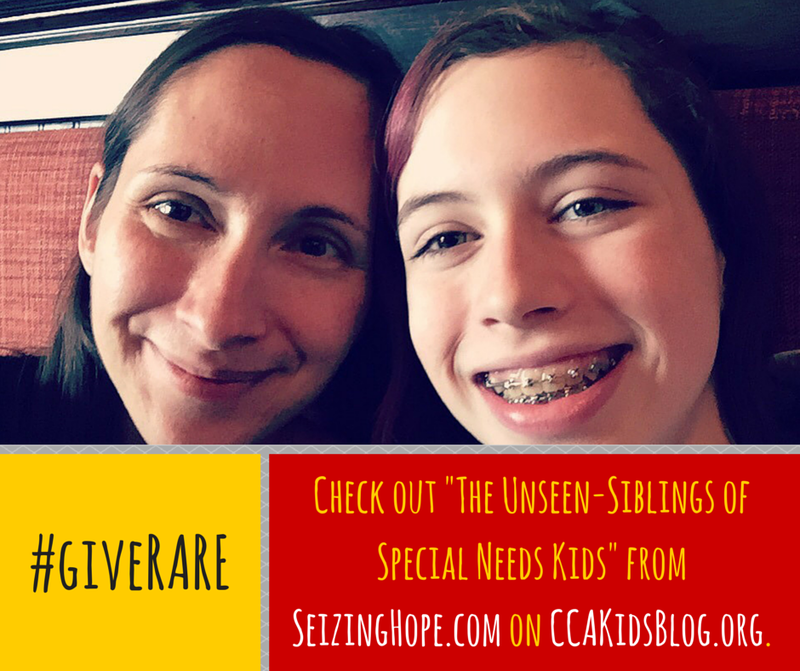 Another great piece we came across this week is "The Unseen-Siblings of Special Needs Kids." We think you'll agree, siblings' needs are definitely a part of living in a family affected by #RareDisease. In fact, one big part of CCA's efforts is creating a supportive community for siblings of kids affected by facial differences. Having a brother or sister with a rare disease or difference comes with its own set of challenges, and CCA seeks to address the psychosocial needs of the entire family. Enjoy this moving piece from SeizingHope.com. And don't forget to schedule your donation for March 3, 2015. Wow. The post about "Unseen Siblings..." was really powerful. Brought tears to my eyes. There's No Road Map for "Rare"
It's Random Act of Kindness Week!